Are you on track to meet your retirement needs and satisfy your wants, now and in the future? •The HECM loan is FHA insured. 1 You must still live in the home as your primary residence, continue to pay required property taxes, homeowners insurance, and maintain the home according to FHA requirements. 2 Consult your financial advisor and appropriate government agencies for any effect on taxes or government benefits. If you’re 62 or older – and want money to pay off your mortgage, supplement your income, or pay for healthcare expenses – you may consider a reverse mortgage. 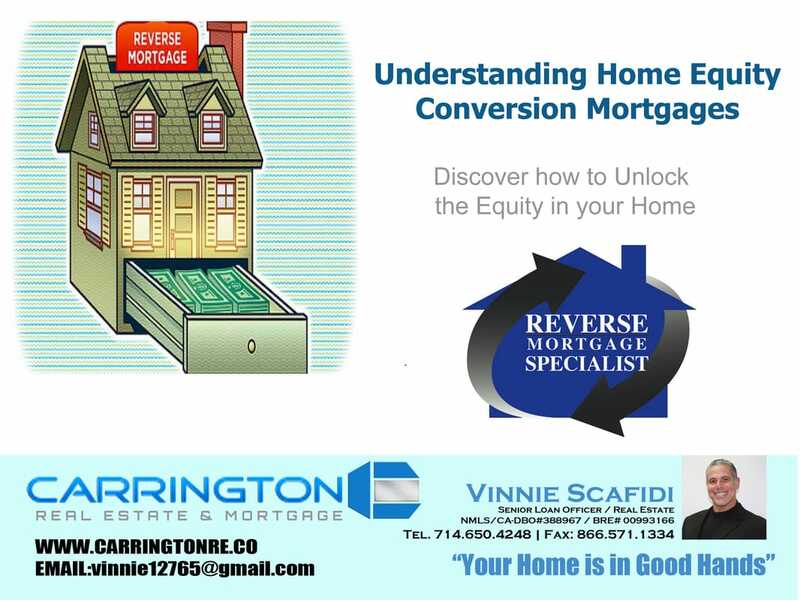 It allows you to convert part of the equity in your home into cash without having to sell your home or pay additional monthly bills."